Northbridge, MA: Friday, October 14th 7-10 PM marks the 5th Annual Blackstone Valley Chamber of Commerce Heritage Starlight Celebration with presenting sponsor, UniBank. The event is being held in the amazingly restored and historic Riverdale Mill in Northbridge. To make this event even more special, we will pay tribute to our military personnel. Any current service person or veteran past or present is admitted free. This annual event will be a night of excitement, musical entertainment, and conviviality. This year will feature a history of the Blackstone River, live entertainment by the Tony Sarno Band, and wine/beer tastings courtesy of Friendly Discount Liquors. Guests will sample at our “Taste of the Valley” the premier culinary event that will bring together a sumptuous menu from the most creative culinary resources of the Blackstone Valley donating their time, talentand passion to make this a memorable evening. Premier artists and crafters in the Valley will gather for “Artists of the Valley” providing exceptional goods for sale just in time for holiday gift giving. Come and enjoy an evening “under the stars” with your spouse, friends, neighbors and Chamber members. 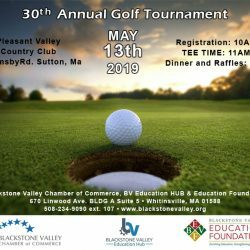 Reservations are required and are $25 per individual and $40 per couple please contact Brenna Ruchala (508) 234-9090 x107 or by email at brenna@blackstonevalley.org. 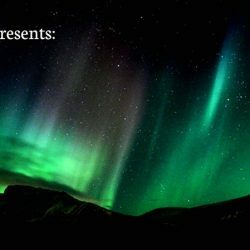 You may also register online at www.blackstonevalley.org.